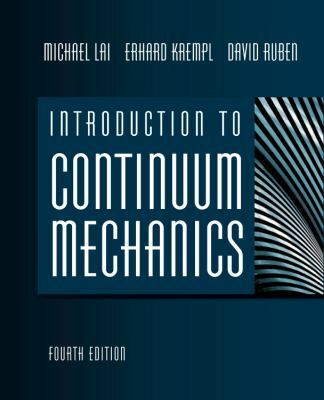 by Lai, W. Michael, Krempl, Erhard, Rubin, David H.
Lai, W. Michael, Krempl, Erhard, Rubin, David H.
Continuum mechanics deals with forces and behaviours that are continuous throughout a material or system, be it solid or fluid. This book begins with a thorough yet accessible grounding in the underlying principles. It then goes on to provide examples of everyday applications of continuum methods.Lai, W. Michael is the author of 'Introduction to Continuum Mechanics ', published 2009 under ISBN 9780750685603 and ISBN 0750685603. Loading marketplace prices 38 copies from $47.48 How does the rental process work?